I mentioned in a previous post the possibility of refreshing a worn Koral gi with a bit of Dylon magic. 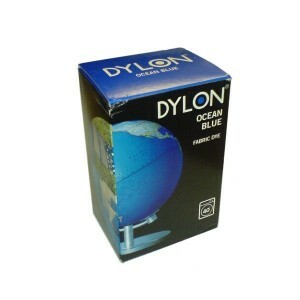 I had great success dying an old Koral Classic blue kimono; two packets of Dylon’s ‘Ocean Blue’ returned it to its original glory. During this process, I noticed that Dylon has recently changed its directions; I’ve used Dylon over the years to refresh curtains, duvets and things. While, previously, users were advised to dye the fabric at 40 degrees and then wash at the hottest temperature the fabric could handle, current directions suggest dying and post-dying washing be undertaken at 40 degrees. I stuck to the old directions and washed my gi at 90 degrees to ensure all extra dye was removed. Further, as described in the earlier post, the gi’s patches are not cotton, so come through unscathed. Being pleased with the results, I decided to attempt dying my oldest gi (also a Koral Classic blue), black. Again I used two packets of Dylon (‘Velvet Black’) and this took nicely to the cotton of the gi, however, the stitching is not cotton and so does not accept the dye. An attempt to colour in the stitching lines with black permanent marker (pen stated that it could be used on cloth) was only marginally successful: those areas of the gi that suffer a lot of friction during training, such as the trouser’s knees, lost the marker after the first training session. While the blue stitching looks okay and certainly this gi, nearly 4 years old, was in need of some sprucing up, I am investigating purpose-made cloth-marker solutions that might withstand training (comments welcome!). It is worth noting that Dylon’s directions state that while going from a lighter to a darker colour should not require any lightening of the fabric prior to dying, if going from a darker colour to a lighter shade, then colour-mixing rules apply. Thus, a team mate’s attempt to change a black gi into a blue gi (without first bleaching the fabric) resulted in a navy blue kimono. Fabulous. I plan on dyeing several of my white gis in different colors.. I’ll be using Procion MX (a fiber reactive dye that does not need high water temps.) If you’re interested, I will be posting the results on my blog. Cool reading! Thanks!